The problem is that when you run the newly installed arch linux core. the disk is turned off (this will write the error -110). After the disk is turned on. can be please by the points. проблема заключается в том, что при запуске только что установленной arch linux core. диск выключается(от этом пишется error -110). После диск включается. Hello, and Welcome to Arch Linux. I understand that English may not be your primary language and we will be happy to work with you with that in mind. I will say that you have not provided us much to go on. 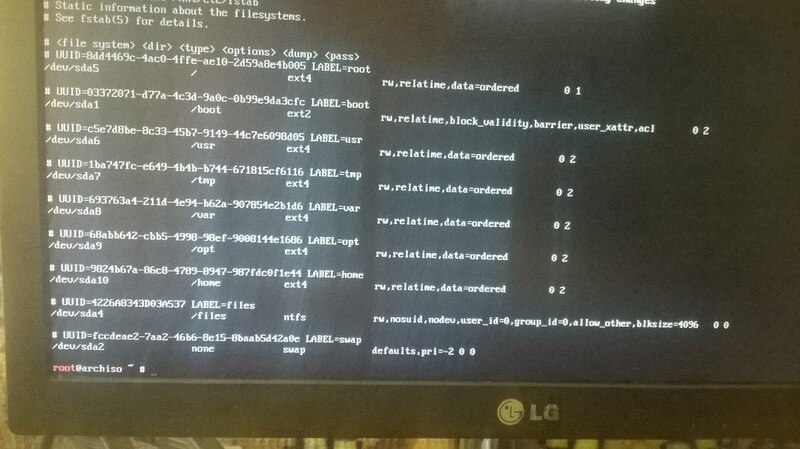 I have no idea what "when you run the newly installed arch linux core." means. Does this mean that you have installed Arch, but cannot get it to boot? Or are you having problems during the installation. 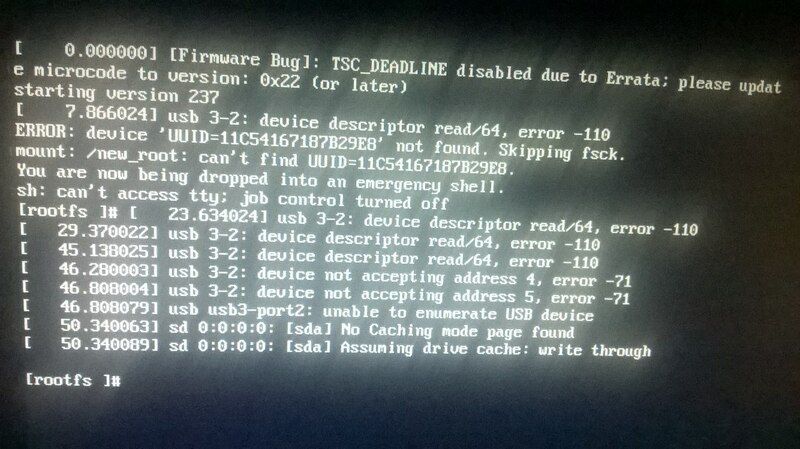 such a problem was with all linux distribution, but there was given more time to load the disk. Кажется, Вы забыли создать fstab. 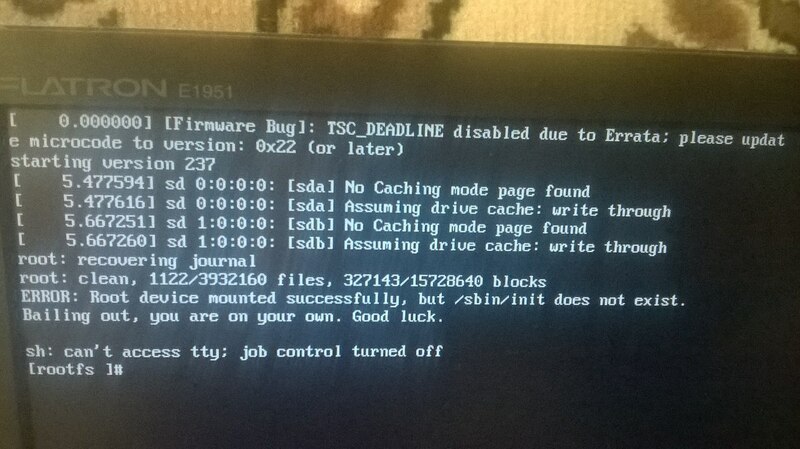 It seems that you forget create fstab.